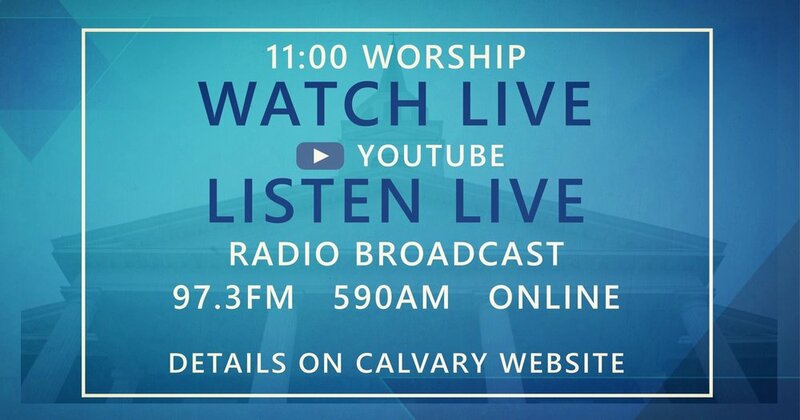 Did you know Calvary's 11:00 a.m. worship service is streamed live each Sunday? Watch Live: By visiting or subscribing to the Calvary YouTube channel. Listen Live: Online at the WVLK website (click the "Listen Live" icon) or you can hear the live broadcast on the radio on 97.3 FM and 590 WVLK AM. Sermon Videos: Calvary's sermons are archived on the Calvary YouTube channel.